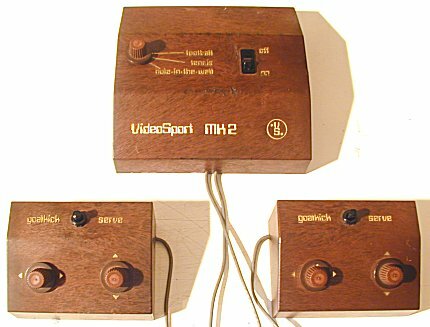 The VideoSport MK2 was sold in 1974 or early 1975 by Henry's, a British retailer of televison and Hi-Fi equipment. 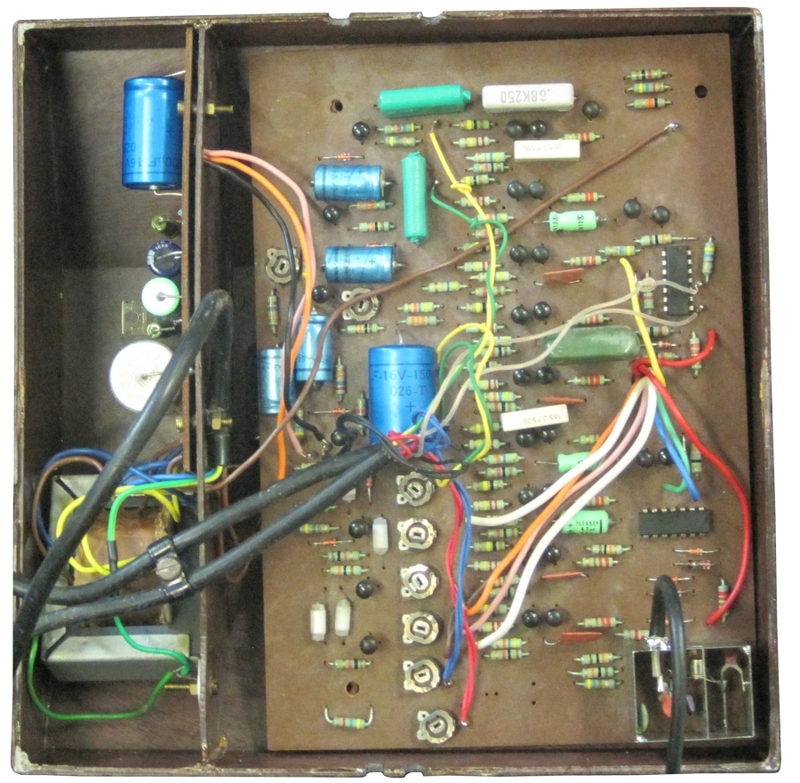 It is one of the earliest European PONG systems and uses analog circuits. It was still available at Henry's in early 1977. Customers could either buy it in the stores, or have it sent by mail. 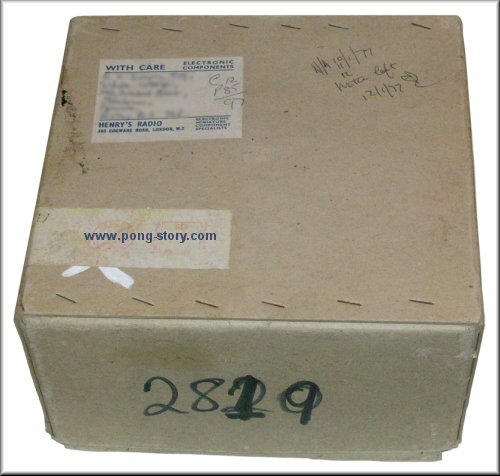 The box of our specimen was shipped to its original owner in January 1977 and shows a hand-written 2819 in large digits. If this is a serial number, then less than 3000 specimens were sold in two years, which is very low. In this case, it is possible that only a few thousands of units were built. 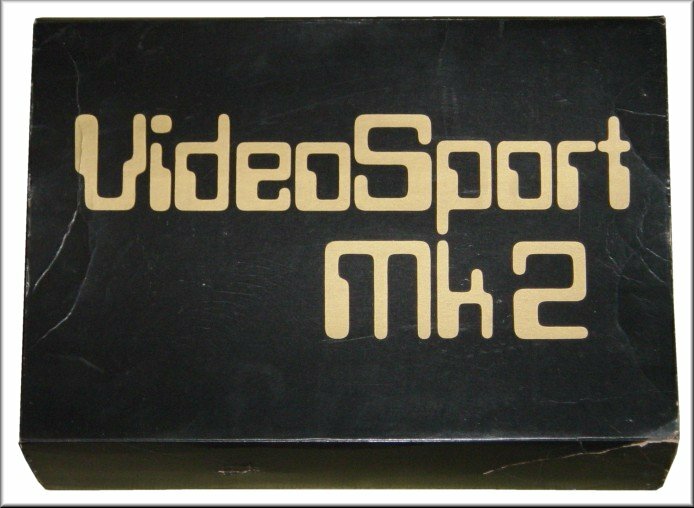 Seeing that sort of model being still sold and discounted in stores in 1977 was common back in the 1970s. The rush for the latest and more advanced model did not exist: although many advanced models were available, earlier ones were still proposed at a lower price (hence the discount between the two advertisements below and our boxed unit, originally purchased for £20.20). The hand assembled electronic circuit board is very basic: it has only two TTL integrated circuits containing four NAND gates each. The rest is made of discrete components. 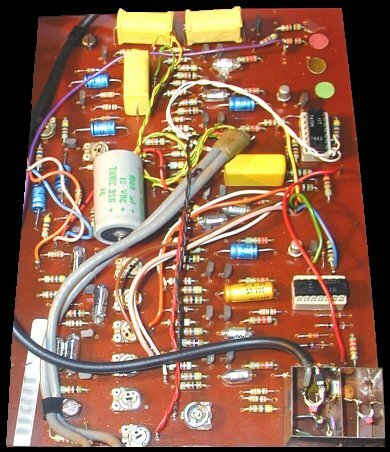 This is a typical design for an analog system released in small amount. The electronic circuit of this system is the simplest one after the Magnavox Odyssey. The system is only powered by the mains. Curiously, the bottom sides of the case and hand controls are glued rather than screwed, making it difficult to open the main unit without damaging the borders. Two versions are known to exist: the original one with gold letters, and the later one without gold letters (probably an attempt to reduce the production costs). The push-buttons could be black, yellow or white as these systems were mostly hand assembled with parts purchased "on the fly", as opposed to systems made by bigger companies who ordered their whole stock of electronic parts because their products were assembled by automatic tools. 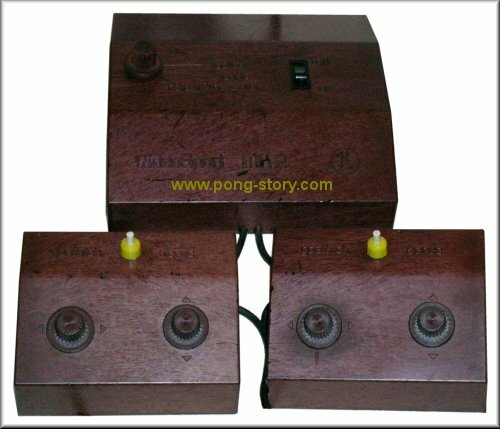 The system plays three games without any difficulty level, although it would have been easy to adjust the ball motion, paddle size, etc. Such settings were common with analog systems. 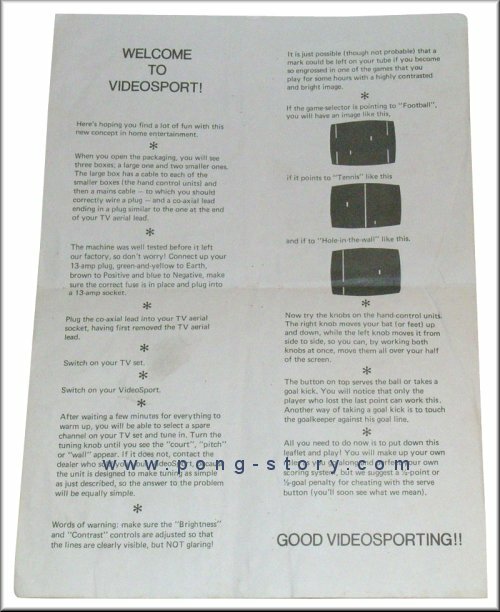 The first game is obviously TENNIS (PONG). 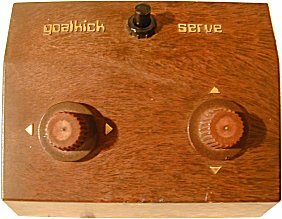 Each player uses two knobs to move his paddle (one to move horizontally and one to move vertically), and one push-button to serve the ball. 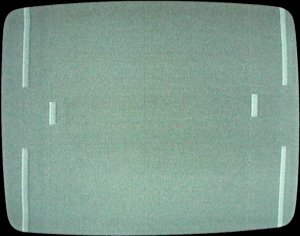 There are no on-screen scoring and no sound effects, which is a common thing with early analog systems. However, the picture quality is very good compared to the type of components used. 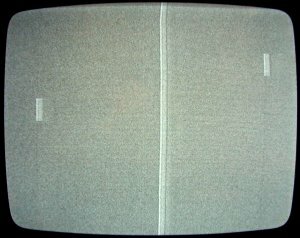 Most other analog systems used more integrated circuits to provide a better video signal. 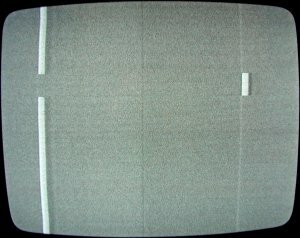 With only two chips, this system still provides a very good picture. The electronic circuit is very simple and is a good example to understand how these analog game systems work. The first strange detail is the use of the two TTL 7400 chips (NAND gates). Most systems used these gates wired in "NOT mode" where their two inputs are connected together so as to form a logic inverter. A simple flip-flop can be made with two inverters, and one simple graphic object like a ball or a paddle can be made with two flip-flops. One could think that the two chips are used as flip-flops for the ball and paddles, but they are not. They are used for other purposes: combining the vertical and horizontal signals of the ball (one gate), paddles (two gates) and wall (three gates), and make the players serve alternatively (two gates). 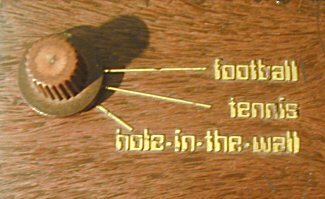 The ball and paddle graphics are entirely generated by discrete components: transistors, diodes, resistors, capacitors, etc. The system has two transistor flip-flops: one for the horizontal sync signal, and one for the variable ball speed. 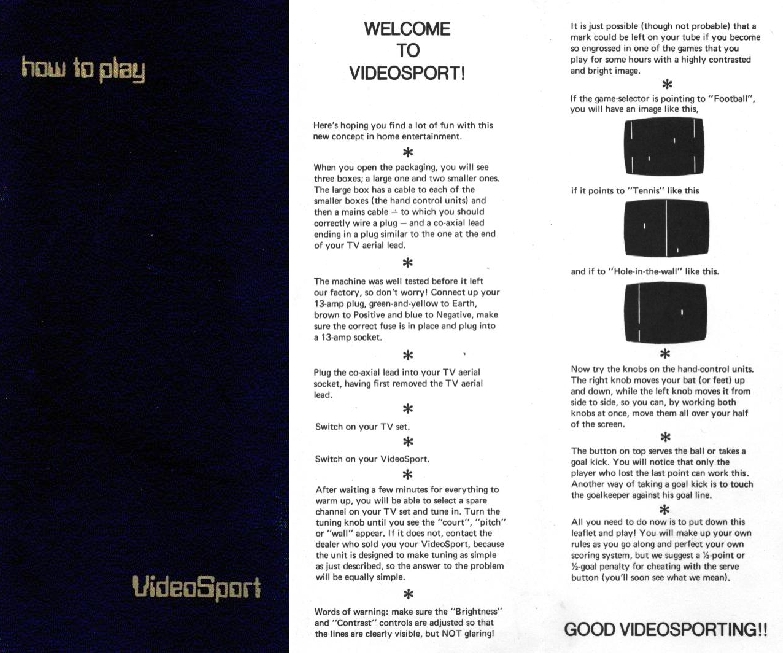 All other graphics are generated using one-shot triggers (two transistors each): two for the ball, three for each player, three for the wall, and one for the vertical sync. Interestingly, the vertical sync is not gerenated by an internal 50Hz or 60Hz oscillator. It uses the mains frequency (50Hz in Europe, 60Hz in the USA), thus making the game fully compatible with any frame rate. No other game is known to use that feature. The 50Hz signal is obtained from one secondary of the mains transformer. Its positive half is kept and shaped by a one-shot trigger to generate the vertical sync. Those interested by the design of the game can download the game schematic (PDF) and the power supply schematic (GIF) provided by Andy Lewis. Andy told us that this schematic was generated by reverse-engineering the game of his friend in order to fix it. He also provided the nice picture of the circuit board, which is shown below. His game is the later version. Ours is the original one. First version of the system with its two controllers and gold lettering. Later version of the system without gold letters. Close-up on the game selector. Inside of the system: only two integrated circuits and discrete components. The original version is on the left (our specimen). The later one is on the right (courtesy of Andy Lewis). flip-flops and one-shot triggers are in the middle). Click the pictures to view in large size. Earlier box and manual. Click the pictures for larger view. Shipping box of our 1977 specimen with its later (xerox) manual. 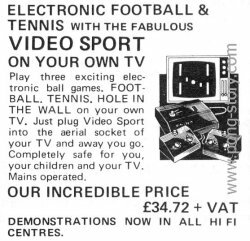 Left: Early 1975 advertisement in Elektor showing the Videosport MK2 at £34.72 + VAT. 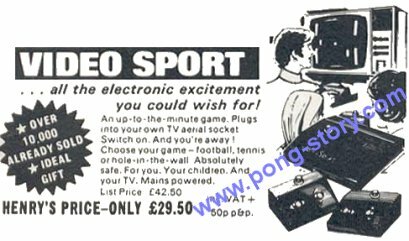 Right: advertisement in Elektor in May 1976 discounting the game at £29.50 + VAT. The system was discounted at £20.20 later in 1976 or early in 1977.